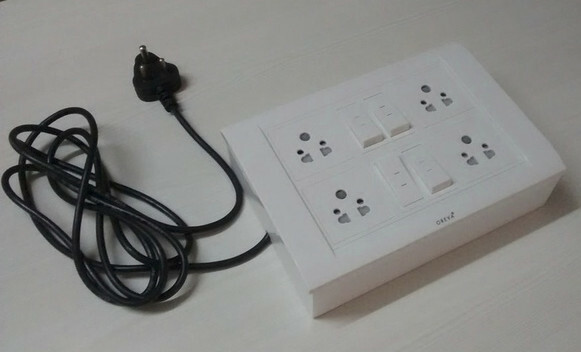 Armtronix, an Indian startup, has come to kickstarter to launch a quad relay board with an AC terminal based on ESP8266, and the company also offer a complete kit allowing you to build your own wireless power strip with the board. “ModeMCU” headers to connect additional sensors such as PIR, IR, Temperature, Humidity, Limit switch etc. USB – micro USB port for programming. Power Supply – Terminal with 100-240V AC to 5V DC converter. Dimensions – 145 x 60 x 22 mm. 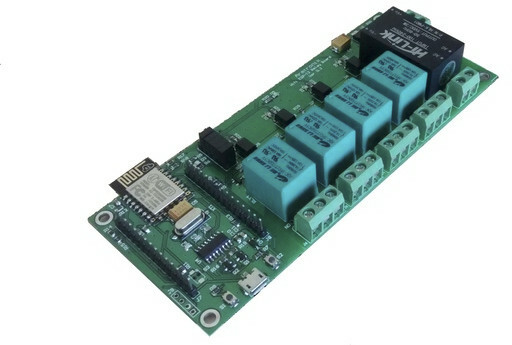 The WiFi Quad Relay Board can be programmed as “MQTT Client” for networking/home automation integration using Arduino IDE, and controlled/ setup with a smartphone running a web browser. Some code is already available on the company’s github account. The crowdfunding campaign had a lowly $299 funding target, and we’re now well pass that level. $15 should get you 5 bare PCBs, $29 a complete WiFi quad relay board, and $79 a complete kit with a four socket case, the board, a PIR sensor, a WiFi smart switch with one relay, a temperature sensor, an 0.96″ OLED 128×64 display, and a Bluetooth module. Shipping adds $7 to $12 depending on rewards, and delivery is scheduled for October 2016. Quite expensive for controlling 4 relays. ESP8266 module costs $1.7. 4x relay – $4 max. 5V power supply + 3.3V regulator – about $1. So for about $7 you can have complete electronics and DIY if you need such device. I don’t need such internet controlled power cord but played with it some time ago. Next PostNext Does Amlogic S905X Support USB 3.0?